John Davies & Co was founded in 1957, starting with one lorry, a Ford Trader capable of transporting up to 5 tonnes of goods. The truck was kept on the driveway of John's home in Backford, Cheshire. 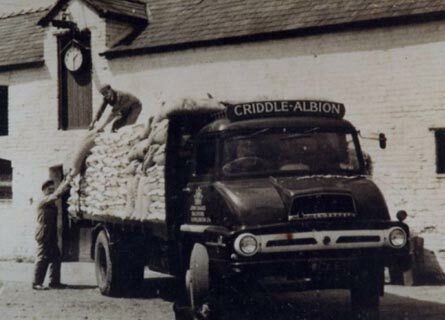 John's first contracts consisted from transporting animal feed from the Liverpool docks to Mills and farms. In 1966, concentrating on creating good relationships with customers, and offering a reliable transportation service, John managed to expand the business into warehousing, purchasing a 3 acre site in Chester with 20,000 square foot. In 1970, the business grew to 7 articulated lorries, transporting sugar, fertiliser and animal feed. John's son, (John Davies Jnr) decided to join the business during 1974. In 1982 the business expanded the site to 7 acres with 40,000sqft of warehousing space. John Davies & Co started offering a contract packing of bulk material in 1988. In 1995, John Davies & Co operated 50,000sqft of warehousing space and began offering a road powder tanker loading service. In 2007, grandsons Jonathan and Matthew joined the family business. During 2008 the business expanded its warehousing space to 90,000sqft.